This is the most comprehensive study to date of the rich popular music scene in contemporary China. 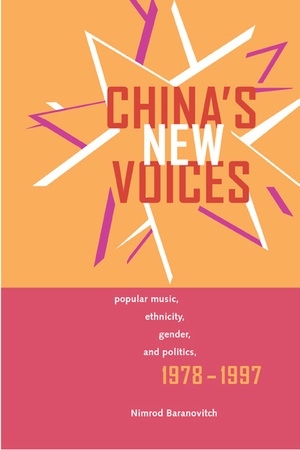 Focusing on the city of Beijing and drawing upon extensive fieldwork, China's New Voices shows that during the 1980s and 1990s, rock and pop music, combined with new technologies and the new market economy, have enabled marginalized groups to achieve a new public voice that is often independent of the state. Nimrod Baranovitch analyzes this phenomenon by focusing on three important contexts: ethnicity, gender, and state politics. 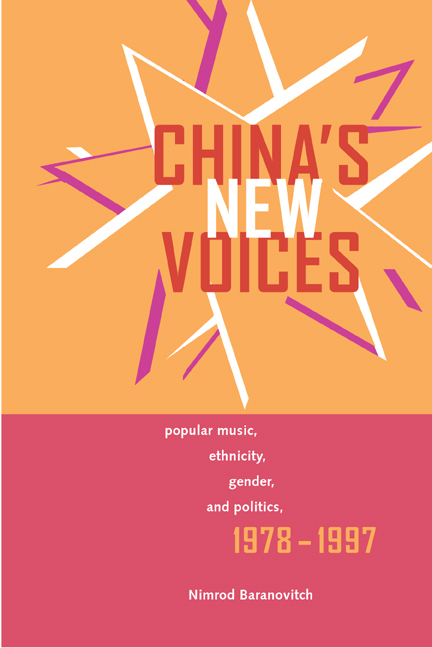 His study is a fascinating look at the relationship between popular music in China and broad cultural, social, and political changes that are taking place there. Baranovitch's sources include formal interviews and conversations conducted with some of China's most prominent rock and pop musicians and music critics, with ordinary people who provide lay perspectives on popular music culture, and with others involved in the music industry and in academia. Baranovitch also observed recording sessions, concerts, and dance parties, and draws upon TV broadcasts and many publications in Chinese about popular music. Nimrod Baranovitch is Lecturer in Chinese Culture and Society in the Department of East Asian Studies at Haifa University and Research Fellow at the Harry S. Truman Research Institute for the Advancement of Peace at the Hebrew University of Jerusalem.